The large crane could be seen from downtown Oconomowoc, WI. Beam is being lowered. Thanks for visiting our blog. 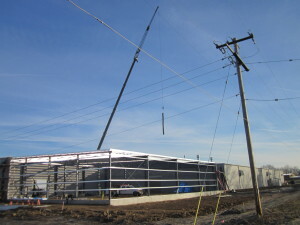 We will be posting more images of the building expansion project. This project has been completed on schedule and we are pleased to be able to share our journey with you.